Larsen Jewellery specialises in custom made jewellery. Being a jewellery workshop, we are able to create any design you have in mind. 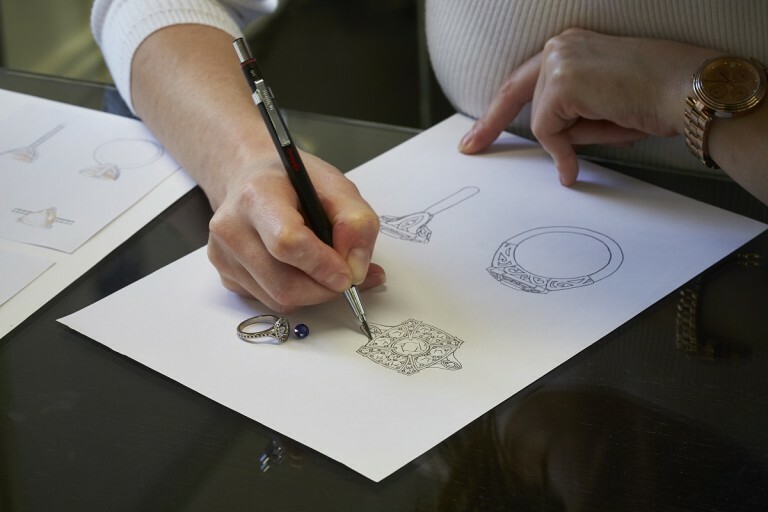 Whether you have an idea, a picture, or need some creative inspiration, you can work with one of our award winning jewellery designers to make your vision a reality. Our uncompromising commitment to quality and service guarantees your complete satisfaction, whether you are looking for a stunning engagement ring, matching or unique wedding bands or a special piece as a gift. We can handcraft anything from plain wedding bands to intricate earrings or pendants involving diamonds, coloured gemstones, a mix of metals, engraving and much more. At Larsen Jewellery, you will consult with one of our award winning jewellers on your custom designed piece of jewellery. During the design and manufacture process we consult extensively with you to develop and create exactly what you have in mind. Our expertise, commitment to quality and customer service will ensure the creation of a fine jewellery item that you will be proud to wear for many years to come. When you visit our studio, one of our jewellers can talk you through a variety of metal and gemstones options. We’ll take the time to answer any questions you may have, to make custom designing your jewellery item a relaxed and enjoyable experience. We welcome you to come in for an obligation-free design consultation where we can discuss your design ideas.